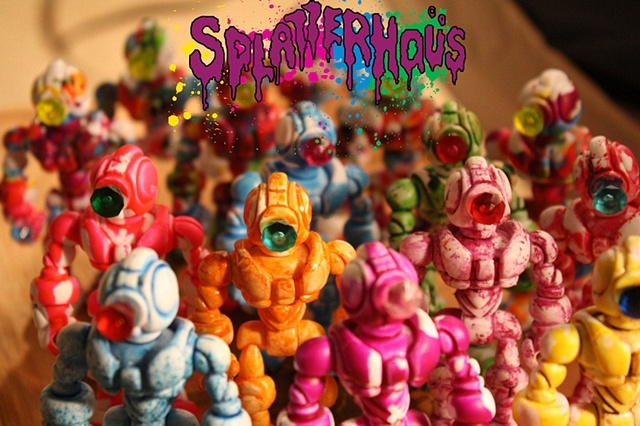 The Splatterhaüs are mysterious beings from another dimension, existing solely to spread sensory overload amongst the galaxies and galleries. Each warrior includes a Voynich Jewel (used to induce aesthetic seizures) and a Tesseract Blaster (a sort of spectronanomalopscope) to aid in their conquest over tidiness and banality. Each piece is hand painted, strict limited edition of only 15 pieces.